"Like Austen, Deresiewicz is lucid, principled and knows how to think as well as how to feel, without ever sacrificing one to the other. He understands that most of us want more than just an exquisite aesthetic experience from a novel. His reviews are gratifying even when you feel inclined to quarrel with them, and (unlike a surprising number of esteemed critics) he has a sense of humor." -- Laura Miller, senior writer at Salon.com and author of "The Magician's Book: A Skeptic's Adventures in Narnia" and "The Salon.com Reader's Guide to Contemporary Authors"
The idea that reading books can change your life has not been very fashionable this last century or so. It violates the high-modernist principle of art for art's sake, smacks of Victorian moralizing and self-improvement. And yet I don't think that any serious reader does not, deep down at least, believe it. Why do we read, after all? Is it really just for pleasure in the strictest sense, the play of sound and form? Or don't we also read to strengthen our souls: sharpen our senses, develop our powers of thought and feeling, deepen our connection to other selves? No, reading doesn't necessarily make you a "better" person, in the sense of a kinder or more compassionate one. But if you're doing it right, it does make you a more self-aware person, and self-awareness is the start of maturity, an improved relation to yourself and others. Such, at least, has been my experience, and with one writer above all: Jane Austen. There is sense in this. Austen didn't moralize, but moral improvement-her characters', and implicitly, her readers'-occupies the center of her work. To put it more plainly, her books are about growing up. Her heroines are sixteen or nineteen or twenty. We follow them for a few weeks, or a few months, or a year. They start out in one place, and gradually-or sometimes, quite suddenly-they end up somewhere else. They open their eyes, let out a scream, take a few frantic breaths, then settle down and look around at the strange new world in which they've come to find themselves. They start out as girls, and day by day, page by page, before our very eyes, they turn into women. For my part, I was twenty-six when I first read one of her novels, as cocksure a young graduate student as one would care to find, and the last thing I thought I needed to do was grow up. It was the rest of the world that had to change, not me. As for Austen-well, I was a guy. To say that I had no interest in her work does not begin to cover it. I did have a strong interest in her work: avoiding it. Wasn't she the one who wrote those silly romantic fairy tales-long, heavy novels, in stilted language, on trivial subjects? Just thinking about her made me sleepy. But eventually I read her nonetheless, because I had to for a class. The novel was Emma, and at first, my prejudices were only confirmed. Everything appeared unbearably banal, a lot of chitchat among commonplace characters in a little country village. The strange thing was, the heroine agreed with me. She didn't think anything interesting was going on in her world either, and what little plot the novel had involved her determination to get things moving on her own. She was the cleverest and best-looking person around, and richer and more wellborn than just about everyone else, and she thought she deserved a more interesting life than the one that was on offer where she lived. Then the novel reached its pivot-point. Emma, carried away by her own effortless superiority, humiliated one of those commonplace characters, a poor, defenseless spinster named Miss Bates, in the most deliberate and public way. That's when I realized what Austen had been up to all along. Emma's cruelty was nothing, I saw, but the mirror image of my own. The boredom and contempt that the book aroused were not signs of the author's ineptitude, they were the exact responses she wanted me to have. She had incited them, in order to expose them. She hadn't been writing about everyday things because she couldn't think of anything else to talk about. She had been writing about them because she wanted to show how important they really are. Emma finally learns that everyday life is not only more joyful-and more dramatic-than she could have imagined, it is also more joyful and more dramatic than anything she did imagine, any of her plots or daydreams. Her life finally became real to her, and in reading about her life, mine finally became real to me. Sleepwalking through my days just wasn't going to cut it anymore. Here was a new idea of moral seriousness: taking responsibility for the little world, not the big one-taking responsibility for myself, for the way I treated the people around me. That was the beginning of my Jane Austen education, but it was by no means the end. 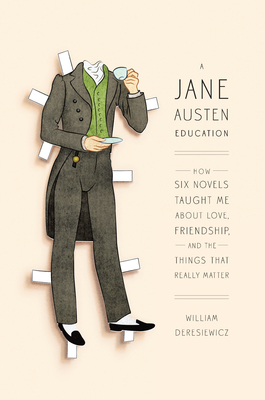 Five more years were to follow in the story I tell in A Jane Austen Education, and five more novels. Many more lessons, too: about making mistakes, keeping your eyes open to the world, learning to listen to other people, being a true friend, and finally, falling in love. The book is a braid of memoir, literary criticism, and moral reflection, with a dash of Austen's own biography thrown in, for she lived those ideas as well as promulgating them. A great reader herself, she knew the books can change your life-if you let them. William Deresiewicz was an associate professor of English at Yale University until 2008 and is a widely published literary critic who writes for a popular audience. 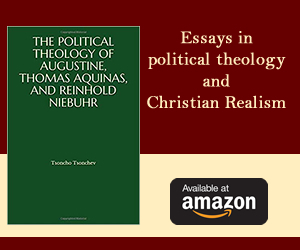 His reviews and essays have appeared in The New Republic, The Nation, The American Scholar, Bookforum, Slate, The London Review of Books, and The New York Times. His work was nominated National Magazine Awards in 2008, 2009, and 2011.